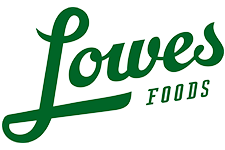 Here are the deals in the Lowes Foods Ad 3/25-3/31. There is a Bonus Gas Rewards event, lots of produce deals, and more. offer valid 3/25-4/7/15 while supplies last. No rain checks. Limit 1 coupon per transaction. Red or Green Bell Peppers, 98¢ ea. Organic Navel Oranges, 99¢ ea. Buy (1) Hormel Pork Tenderloin, And Get Another Pork Tenderloin and a Country Crock Side Dish FREE!